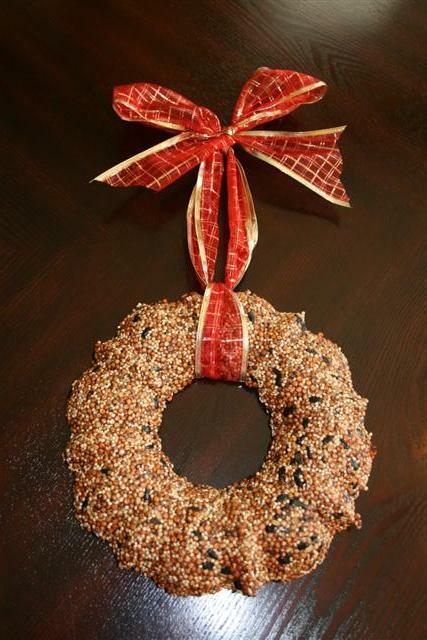 You will be surprised how easy this birdseed wreath was to make! I started by gathering my supplies. The amount of seed and gelatine depends on the size of your mold you are using. I used a standard bundt pan I made two sizes of wreaths. For the thinner one I used one cup water- two packages of gelatine- two cups birdseed. 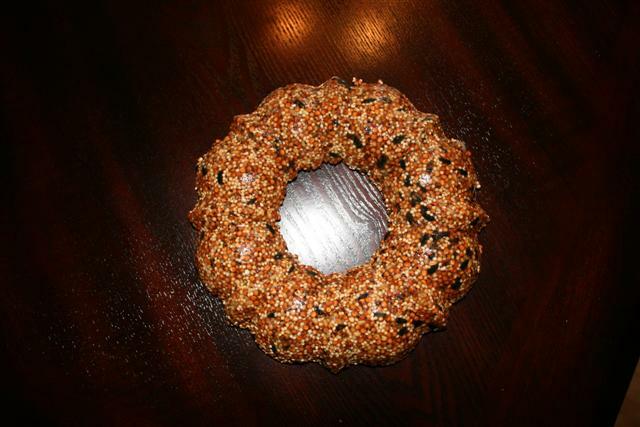 For the thicker sunflower wreath I used two cups water, four gelatine packages, and four cups of sunflower seeds. So again depending on your mold you may have to adjust. First dissolve the geletine in the water over low heat. 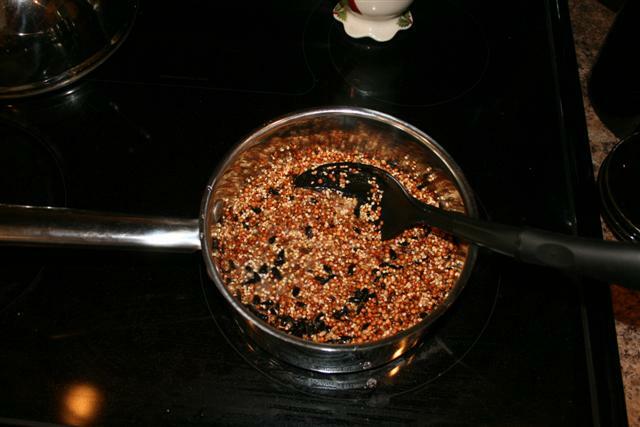 Then add your seed and stir in till all is coated. 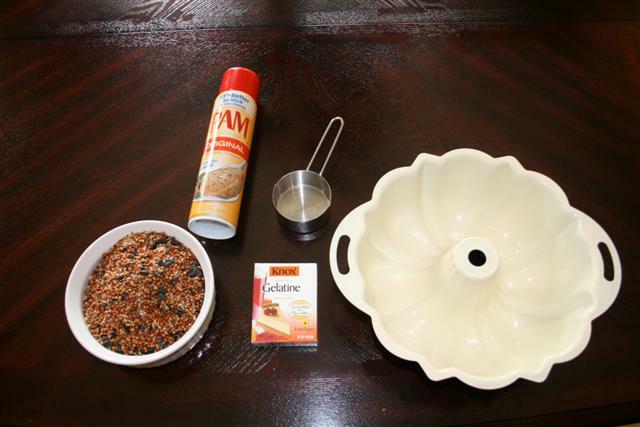 Spray your mold with the non-stick spray and put seed mixture into the mold. Press firm and put in refrigerator for two hours to set. After about two hours it should slide right out, you may have to loosen around the edges. Tie a ribbon of your choice through the center so you can hang. 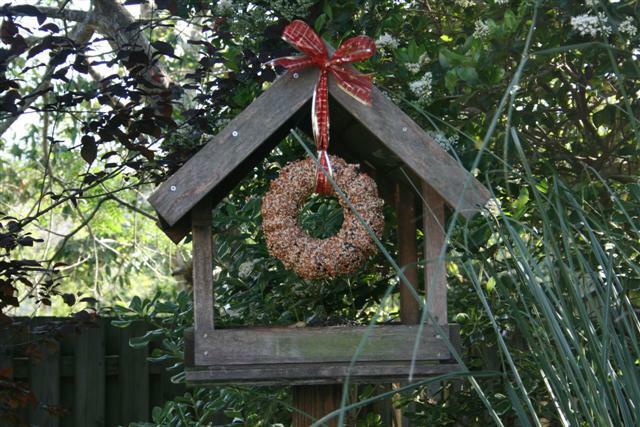 Have you made a birdseed wreath? 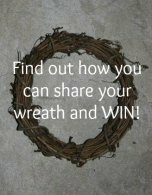 Would LOVE for you to share your story. And you are done and ready to hang!!! Wasn't that easy? 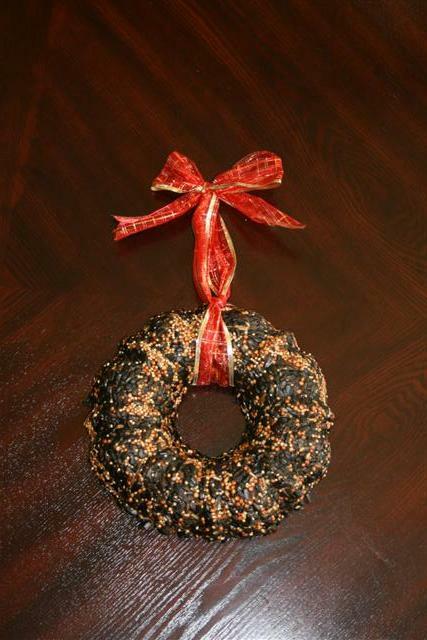 I also make a sunflower seed wreath because my cardinals and squirrels love the sunflowers. Now to hang them up and see how the birds and squirrels like their treat! I hug one on the front of my bird feeder. Looks like it is hanging on the front door of the bird feeder. 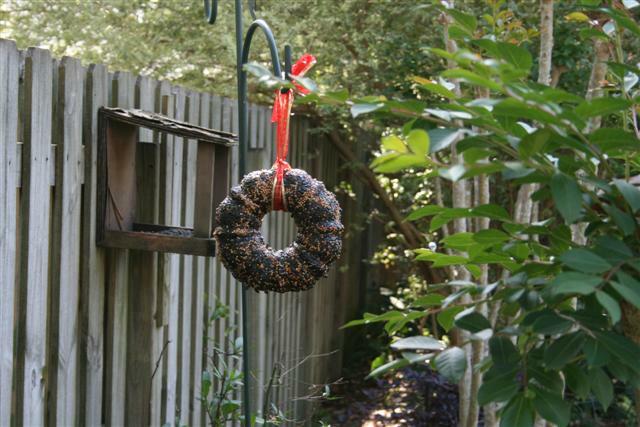 I hung the sunflower seed wreath on a shepherd pole close to another feeder. This is a great idea for a fund raising project, school art project, or gifts to give at Christmas to neighbors and friends. What about a bake sale for the birds. It is a quick no mess easy project just the kind I like. 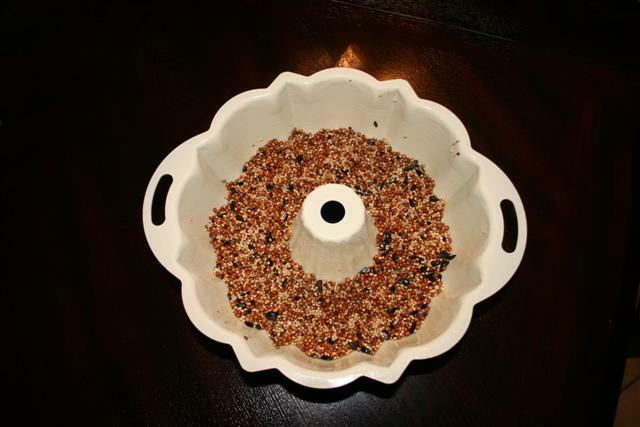 You will enjoy making this and the birds are going to love it!